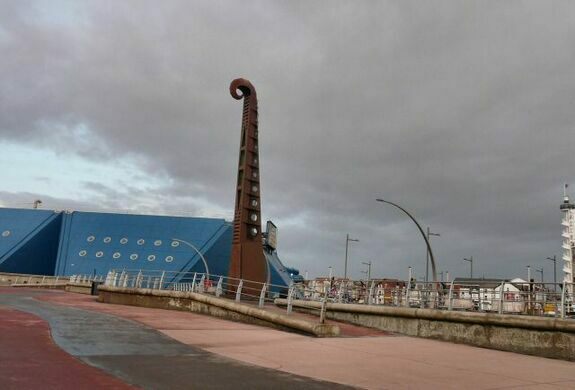 Arrive at the towering metal High Tide Organ on the Blackpool promenade a couple hours before or after high tide and you’ll hear an otherworldly music wafting over the air. 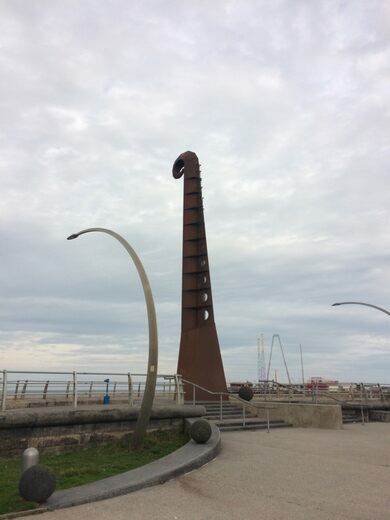 Built in 2002 and designed by Liam Curtin and John Gooding, the sea organ stands 49-feet-tall in a curled shape that looks like a cross between a tentacle and the staff of a violin. Like other sea organs, such as that in Croatia and in San Francisco, it uses the movement of the ocean to control its sound. 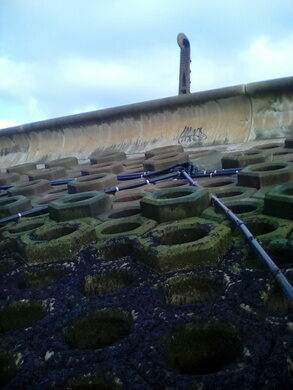 Some eight pipes connect to the water through the sea wall and link up to 18 pipes in the body of the High Tide Organ. 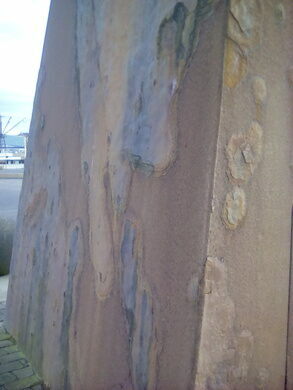 When the tide rolls in or out, air pushed up the pipes causes the sculpture to resonate with its unique music. Just to the left of the organ (when looking out to sea) is a set of steps to the beach. 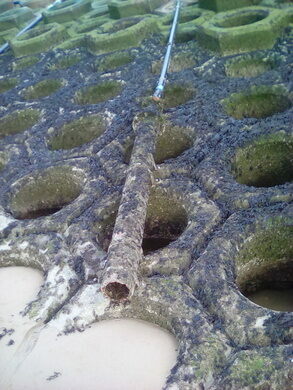 At low tide you can go down to the beach and see the pipes that make the system work, which are attached to the sea wall. A Seussian sculpture made of brass instruments.